eBay Company Information Is this your company? Add your own content to this page. 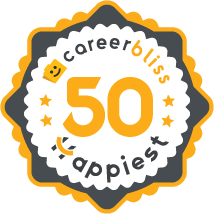 We've calculated that the average salary at eBay is $80K based on 936 user-submitted salaries A total of 152 eBay employees gave eBay an average happiness rating of 4.0 out of 5.0. 38 Customer Service Representatives from eBay submitted salaries. 2 eBay marketplaces is represented by a very small team of about 12 employees in Luxembourg. There are also about 40-50 employees from PayPal, eBay Treasury and StubHub. Joined eBay few years ago with great energy and motivation to improve and develop our messy processes in billing and finance. This energy and motivation have gone away after a while when I realized: 1. Whatever you achieve it seems like a drop in the ocean because management cannot focus and deliver elementary goals. The culture of management is "Fire! Let's work on 100 different projects to improve our business"... after debating, long discussions and hundreds of hours of work... guess what? 80-90% of the the projects are cancelled with the excuse "are not relevant anymore" and the remaining are delivered with significantly below quality standards expectations. 2. The performance evaluation and recognition of each employee is not based on objective performance of individual. It rather depends on your connections with management. In other words, it doesn't matter if you have worked very hard and achieved great results for the business. Someone else with basic performance and good connections with management can achieve better performance rating from you. This has a result talented people to leave eBay after few months/years. For the Luxembourg office, more than 8 employees (out of a team of 12!) left the company in last few years - a really high turnover. 3. One of the benefits that management "sells" at interviews with potential candidates is the great career development and progression - which is probably another lie. It is really difficult to develop and progress your career at eBay, especially in Luxembourg. The trainings are very limited due to budget restrictions for development that we have the last 2 years. If you are unemployed and desperate to find a job, eBay in Luxembourg might be a good option. Otherwise don't waste your time - it doesn't worth it! 4.1 I believe strongly in open and honest communication between manager and employee. I believe that it's important for both parties to be receptive and forthright with expectations. It's difficult for Managers to listen to everyone and execute quickly, but equally its critical for Managers to refrain from dismissive comments and suggestions. Employees often won't speak up with such comments or suggestions unless they love their job and are passionate about the company they work for. Turning a deaf ear to feedback only creates a divide and breaks down the trust of a team. I think the upper management were impressive and were able to resolve any problems that were to arise in the workplace, but the direct supervisors were not able to get upper management's directions to the rest of the team. Better communication skills are necessary for the success of the team. Because of the immediate nature of troubleshooting sometimes you have to make an educated guess. However it should be kept to a minimum. eBay, Inc. is the corporation that operates ebay.com, an online commerce platform that uses an auction model to facilitate the sale of goods and services among individuals and businesses. EBay was one of the first companies to pioneer ecommerce as a business model and remains one of the Internet’s great success stories, managing to generate over $9 billion in revenues annually without inventory or huge capital expenditures. eBay is headquartered in San Jose, California, but maintains localized operations in over 30 countries worldwide. The company is divided into two divisions: Marketplaces and Payments. Although eBay has expanded into other types of ecommerce transactions, its core business is still its auction services, where everything from consumer electronics to an entire small town may be bid upon. Once primarily a consumer-to-consume play, today eBay’s auctions also allow businesses to sell to consumers and to each other. Increasingly, however, the company seems to be moving to a fixed price platform as users of its auction services deactivate at increasing rates. The Payments division is centered around Paypal, a brokerage for Internet-mediated payments and money transfers which eBay acquired in 2002. In the past few years, Paypal has begun showing traction as a payment platform independent of its eBay partnership. eBay employs over 17,000 workers, most of them within the United States. eBay careers are coveted: Employees genuinely like working at eBay. The eBay culture is playful and collegial, offering employees plenty of team-building percs like quarterly retreats, bicycles on which to cruise the eBay campus, two fully equipped gyms and flexible working schedules. The salary for MBAs and tech workers is competitive with other Silicon Valley tech companies. Fortune Magazine lists eBay as one of the 100 best companies to work for. eBay benefits are generous. Employees can choose among medical plans to find the coverage that’s best for them and their families. They also receive dental, vision and life insurance, a 401(k) and the opportunity to purchase stock. Depending on how long they’ve worked at eBay, employees receive between 16 and 20 days of Paid Time Off every year, which they can use either as sick time or vacation time. eBay employees also receive four weeks of sabbatical time for every five years they work.